Both the government-run Indira Gandhi Memorial Hospital and the private ADK hospital have also started offering the influenza vaccine to pregnant women. 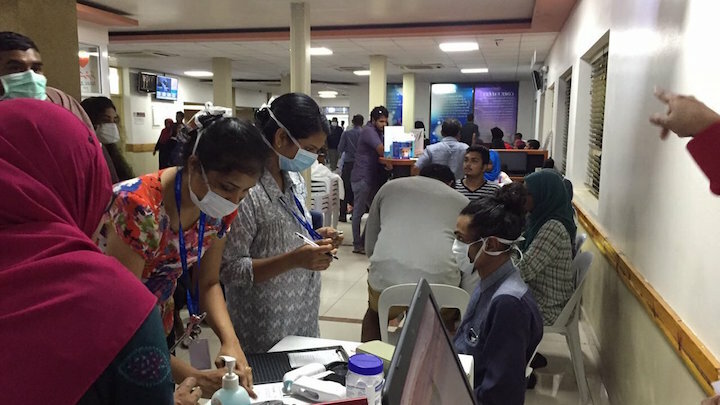 Makeshift flu clinics set up by the government-run Indira Gandhi Memorial Hospital and the private ADK hospital in Malé have been swamped as a seasonal outbreak of influenza continues unabated in the Maldives. The number of confirmed H1N1 swine flu cases has meanwhile reached 82 out of 279 suspected cases tested as of Tuesday, according to statistics from the Health Protection Agency. 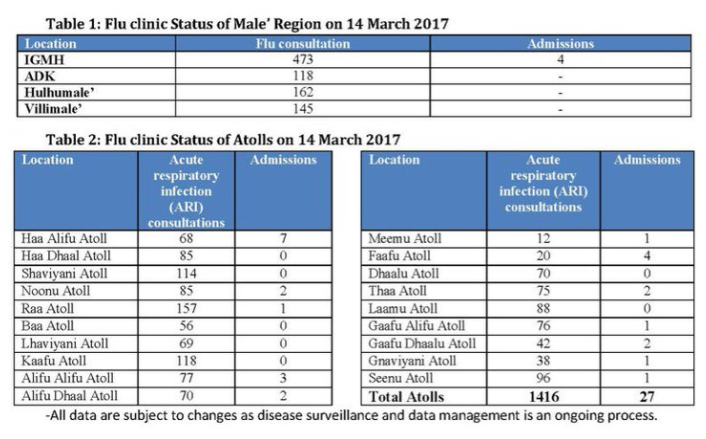 Some 1,416 flu consultations were recorded in the atolls on Tuesday with 27 admissions and 898 consultations in Malé and its suburbs with four admissions. The four severe flu patients in the capital were hospitalised at IGMH and two tested positive for the H1N1 virus type. 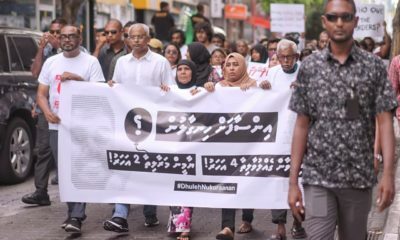 The health ministry said about 3,000 flu and viral fever cases a week were previously reported across the Maldives, but the number of cases rose to about 5,000 a week on average in late February. But after first insisting that the flu outbreak does not warrant closing schools, health officials told the press on Monday night that the number of confirmed H1N1 cases has reached 51 and a fatality was identified, prompting schools and universities to close. Since the 2009 pandemic when it was a new strain, the H1N1 swine flu virus is now “similar to any other influenza and not any more severe or dangerous,” the HPA explained, but children under five years of age, the elderly, pregnant women, and those with chronic conditions such as lung or heart diseases are at risk of developing life-threatening complications like pneumonia. On Wednesday, both the IGMH and ADK started offering the influenza vaccine to pregnant women. 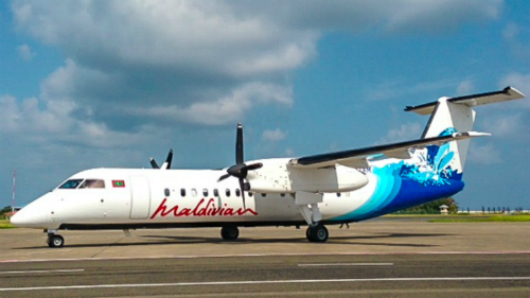 The vaccine is also available for pregnant women from atoll and regional hospitals. Two pregnant women with the flu are meanwhile undergoing treatment at the IGMH’s intensive care unit, one of whom had a c-section this morning. Both the mother and the prematurely born baby are on ventilator support, the IGMH’s media official said. 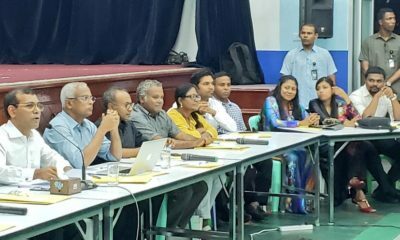 IGMH Director Ahmed Mausoom told the Maldives Independent that the hospital moved its 24-hour flu clinic to the nearby Thaajuddeen School on Tuesday due to lack of space. “The waiting area was too small and the queues lining up for the two doctors on duty were too long. 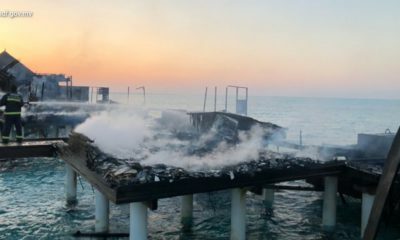 That is why the new clinic was set up, as the number of people wanting treatment was increasing,” he said. In the makeshift clinic set up at the school hall, three to five doctors are on duty during daytime with two doctors on a night shift. “If the queues start getting longer, we equip the clinic with more doctors,” he added. 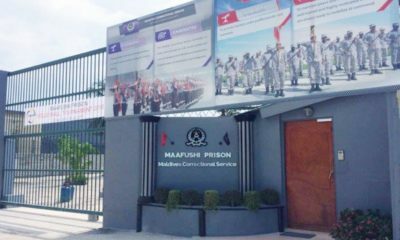 Mausoom said patients can get blood drawn for testing and get x-rays done while nebulisation can be carried out and nursing care is available for patients requiring observation. The State Trading Organisation has also set up a temporary pharmacy at Thaajuddeen. 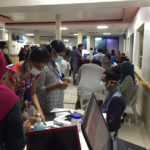 More than 1,200 people have been treated since the IGMH set up the flu clinic on Saturday, Mausoom said. 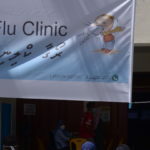 Flu clinics have also been set up at hospitals in the capital’s suburbs Hulhumalé and Vilimalé, which saw 162 and 145 patients, respectively, on Tuesday. The ADK hospital meanwhile opened a flu clinic Tuesday but moved it to the nearby national university’s faculty of science building this morning. The ADK flu clinic is open from 10am to 10pm. 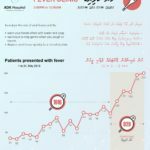 Ahmed Afaal, ADK’s managing director, told the Maldives Independent that the vital signs of patients are first checked before a doctor assesses them based on symptoms. Patients are usually prescribed a three-day dosage of generic medicine as “99 percent of those seeking treatment are found not to need extra intervention and are released after consultation,” he added. The clinic will facilitate hospital care for patients with severe symptoms. “So far today one patient has been treated for such symptoms and yesterday there were two. 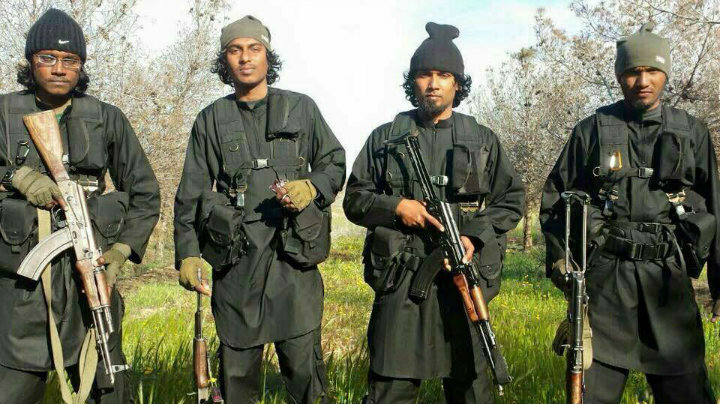 All have now been released after treatment,” he said. Visiting has been temporarily barred at ADK’s intensive care unit, high dependency unit, and neonatal intensive care unit. 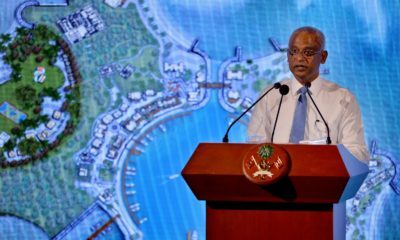 The IGMH has also cut short visiting hours from 5:00pm to 7:00pm and temporarily closed its children’s play area. As of Sunday, children under 12 are also not allowed to visit patients at the hospital. Vaccination for pregnant women is available at the IGMH reproductive health service department from 8am to 4pm and at the ADK vaccine room on the second floor from 3pm to 6pm. Meanwhile, several scheduled ceremonies, football matches, and inter-school tournaments were postponed on Tuesday to prevent the spread of the flu. 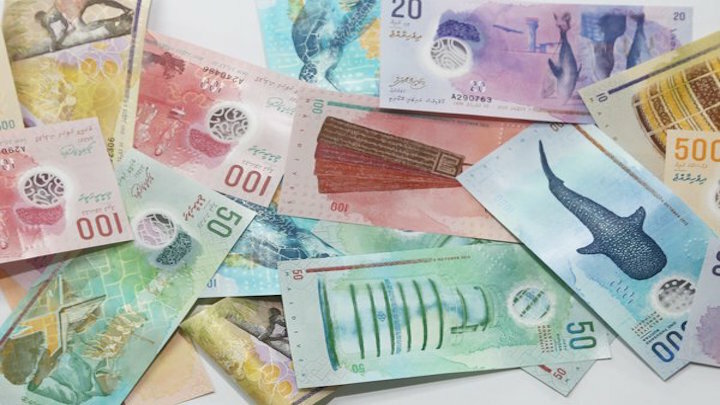 In addition to precautionary measures such as washing hands and covering the mouth and nose when sneezing and coughing, the HPA also advised against non-essential travel between Malé and the atolls during next week’s half-term school holidays. 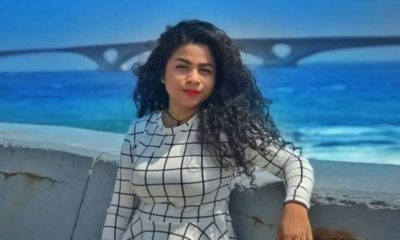 Some colleges in Malé stopped classes and the popular Maldivian Idol show on the state broadcaster was cancelled. The health authorities also suspended a nationwide measles vaccination campaign. On Wednesday, the Islamic ministry instructed all mosques to recite the qunooth during evening and dawn prayers, a special supplication made when the Muslim community faces calamities or hardship. 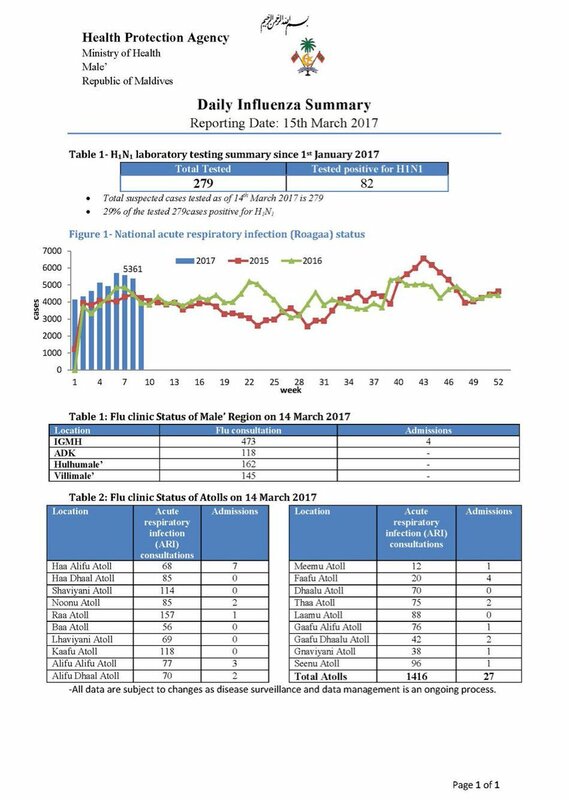 The health ministry said today that 45,458 cases of flu have been reported so far this year.